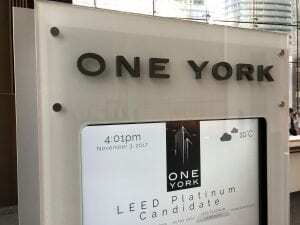 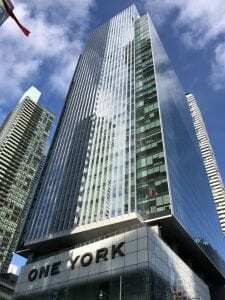 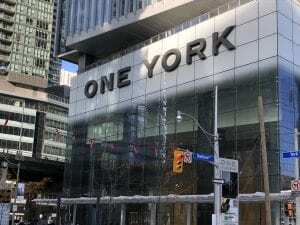 One York is a 35-storey, class AAA office tower and is home to Sun Life Financial’s corporate headquarters. 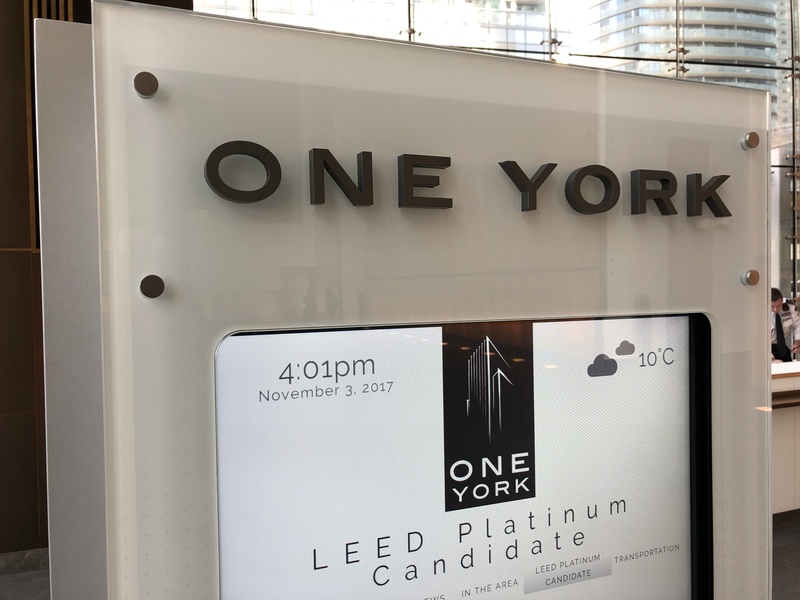 The building has achieved LEED® Platinum certification. 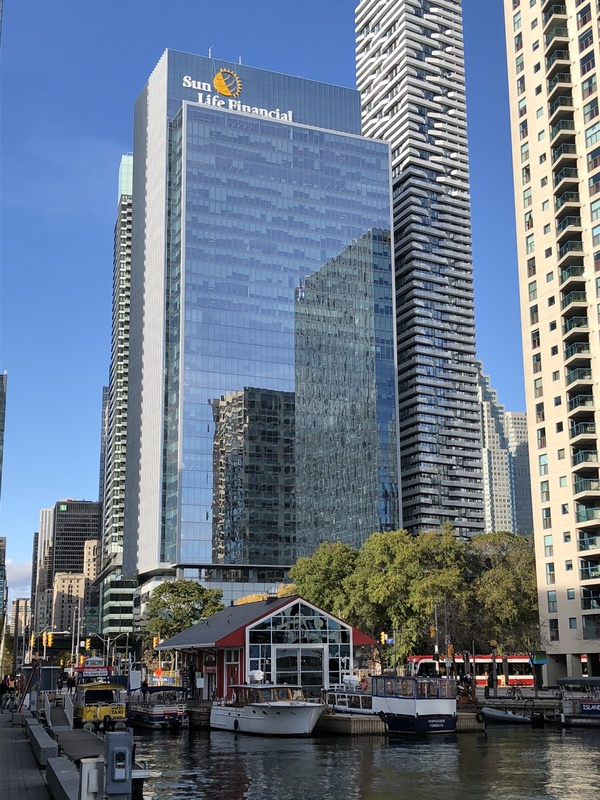 After successfully completing the Telus Tower for Menkes, Trillium was once again selected by the developer to handle the door and hardware portion of this project. 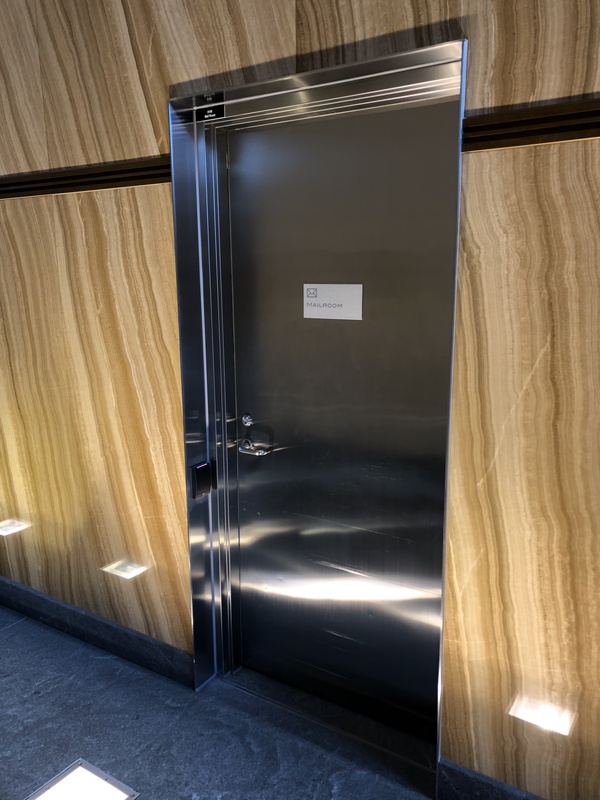 We worked on the design in tandem with Sweeny &Co and EllisDon, and were eventually selected to supply and install the doors, hardware and automatic operators. 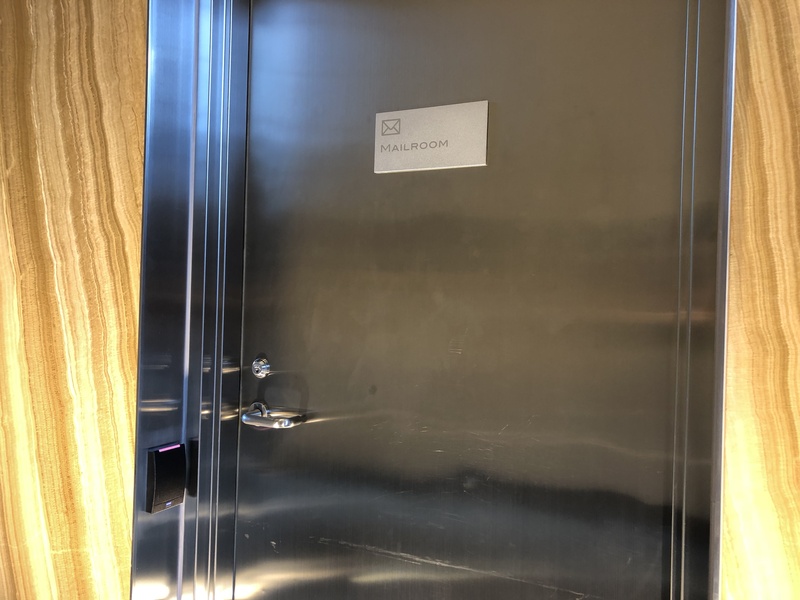 To streamline our scope, Trillium’s installers painted the hollow metal doors and pre-installed hardware offsite. 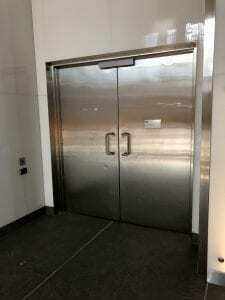 The finished doors were then shrink wrapped and delivered to site ready to hang. This significantly reduced the number of trips required per door and eliminated the coordination that is typically required between door installers and painters. It also provided a secure, controlled environment for hardware storage and installation. 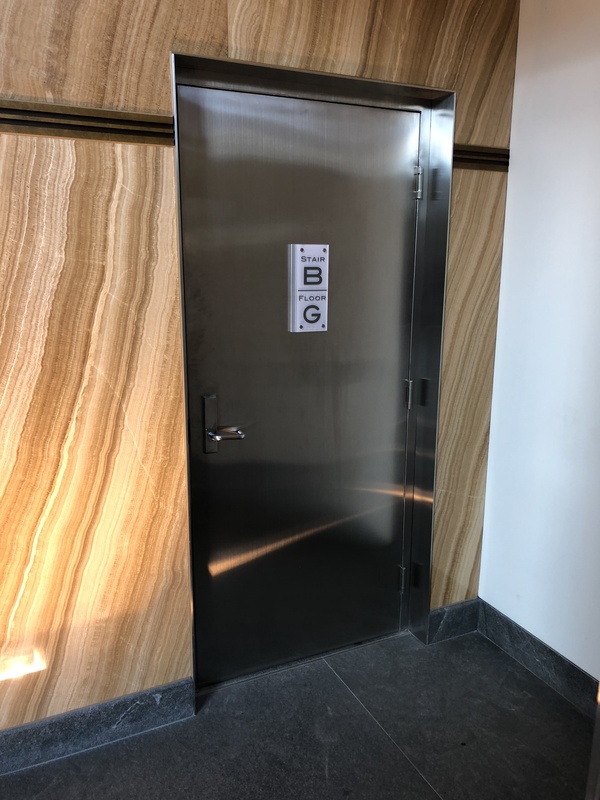 Notable openings include the pairs of 42” x 96” fire-rated stainless steel openings that connect the building to the PATH network. 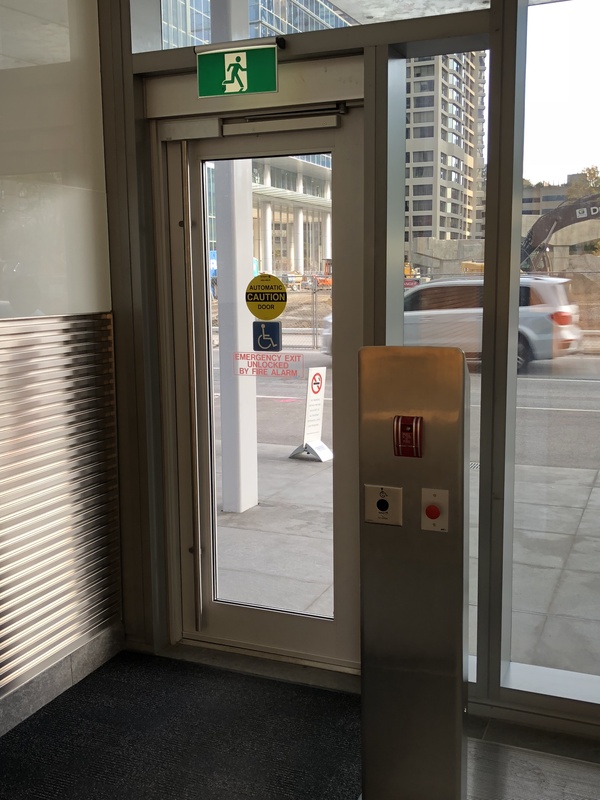 These include mag locks, exit devices with electric latch retraction and automatic door operators with full-width, stainless steel-clad headers. Another hollow metal door on the ground floor was clad with a 1/4” thick layer of stone. This required hardware with custom offsets to accommodate the additional thickness on one door face only. 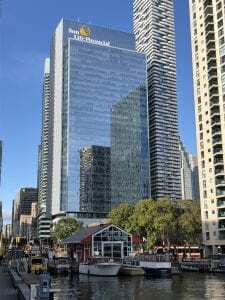 Trillium took on extra scope for the Harbour Eats Food Hall and also supplied hardware for the aluminum doors in the Harbour Plaza residential towers that share One York’s podium.